ITANAGAR, Feb 8: Just days short of it being 12 years since the then union home minister Shivraj Patil laid the first foundation stone for the greenfield airport in Karsingsa (on 20 February, 2007), Prime Minister Narendra Modi will be here on Saturday, on his third visit to the state capital, to lay the foundation stone for the highly anticipated project again, this time in Hollongi. The news of Modi’s proposed visit to the state capital on Saturday has had everyone, especially government offices, scrambling to complete their unfinished tasks. With the government prepping for the prime minister’s visit and giving a facelift to its establishments and the streets of the town which the PM’s carcade may pass through, we at The Arunachal Times decided to learn about the people’s expectations from the prime minister’s visit. Many living in the lower economic strata of the society did not care much for the visit. A woman in Itanagar, who has been working as a sweeper for nearly 35 years, said she believes Modi’s visit would be of little significance to her life or to those around her. The educated unemployed youths did not show much enthusiasm, either. 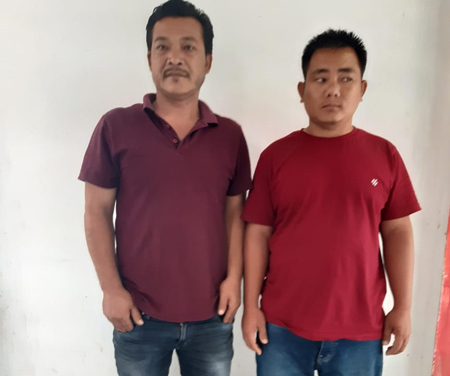 An Arunachal Pradesh Civil Service aspirant stressed on the growing unemployment in the state and questioned the entrepreneurial and skill development schemes of the government. A social activist for women and children, and an advocate by profession, Kani Nada Maling, strongly called for implementing 33 percent reservation for women in the state assemblies and the parliament. “Women should have representation in politics because that’s where decisions are made for the welfare of the people. Women understand the issues faced by other women and by children, and it is essential to make them a part of the decision-making process in politics as well,” she said. Maling welcomed the visit of the prime minister, but did not seem optimistic whether he would announce or initiate any women- or child-centric schemes during the visit. Organisations such as the All Arunachal Pradesh Students’ Union (AAPSU) are trying to get the attention of the prime minister on the citizenship amendment bill (CAB) and seeking an appointment to meet him. “The union wishes to submit a memorandum, if given the opportunity, on many state issues and, of course, the citizenship amendment bill will surely figure in our representation,” said AAPSU general secretary Tobom Dai. However, that seems unlikely in view of the prime minister’s tight schedule. He will be here for only an hour or so. While the Congress party has been vocal about its opinion of the PM’s visit, terming it a “political gimmick” and declaring a protest rally against the CAB on the day of Modi’s visit, the Peoples’ Party of Arunachal (PPA) and the state unit of the the National People’s Party (NPP) welcomed the prime minister. NPP MLA Mutchu Mithi also said the party was happy to have the prime minister visit the state, and that the laying of the foundation stone for the greenfield airport in Hollongi would be historic. Apart from laying the foundation stone for the airport, Modi will also lay the foundation for the National Film & Television Institute in Jote, and the Sela tunnel and approach road, besides inaugurating several important projects, such as Doordarshan’s Arun Prabha channel. Whether his visit will boost the BJP’s image in the state will be decided in the upcoming elections.